Here’s one of our short videos celebrating the art and science of engineering in ICE’s bicentennial year. 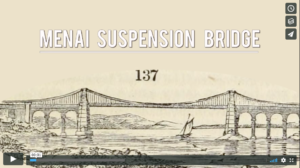 We start with ICE’s first president Thomas Telford, and one of his most notable structures, the Menai Suspension Bridge in Wales. It’s been altered over time to support modern needs, but his signature remains intact. Telford’s work has had a huge impact on the British landscape and how the country looks and functions. Throughout 2018, ICE (the Institution of Civil Engineers) will celebrate 200 years since its founding with its ‘Invisible Superheroes’ exhibition. The exhibition – stylised with a comic book superheroes theme – is designed to champion civil engineers and their invaluable role in creating the structures and systems that make up our world. ICE’s stated aim is to inspire the next generation of civil engineers. At Skyworks, thanks of our aerial perspectives of cities, towns, and landscapes, we are often struck by the many amazing ways that people have shaped the world in order to improve our living conditions, our travel, our health, and our happiness. But because the achievements of engineering are literally all around us (to the point that it’s all too easy to take it for granted) it would require way more than a quick blog post to do them justice. So to do our small part in creating awareness, throughout 2018 we at Skyworks will be taking a look through our HD aerial collection to highlight some of our favourite engineering achievements. Below is a short clip of the Pontcysyllte Aqueduct, the highest in the world. It is just one engineering feat amongst many designed by master engineer Thomas Telford, who would become the first president of ICE in 1820. 50th Anniversary of 1st Heart Transplant – But where..? 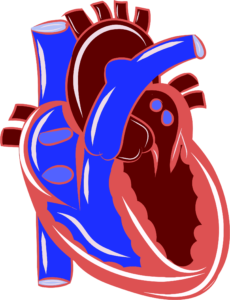 This December 3rd marks 50 years since the world’s first human heart transplant. The benefactor was a 53 year old South African grocer with heart disease, and the donor was a 25 year old victim of a car accident. Christiaan Barnard was the surgeon who made history by carrying out the operation in 1967. He trained in both the USA and at the University of Cape Town. 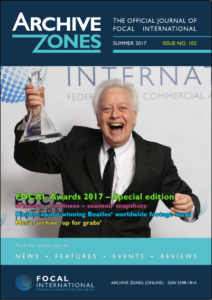 Back in March we told you guys how excited we were about the FOCAL International Awards that were to take place in May 2017. The annual awards ceremony celebrates filmmakers of all genres that use their skills and creativity together with invaluable archival footage to tell important and entertaining stories. Go to page 30 to read (Skyworks’s own) Kevin Mannion’s article on his experiences of being a juror for the awards. 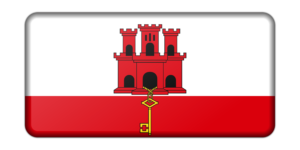 In 1967, the people of Gibraltar had a decision to make – to remain under British sovereignty or to become part of Spain. It turned out to be an easy decision, and an overwhelming majority voted to remain. The 50th anniversary of that decision – in 2017 – comes with an unusual twist, in that the majority of Gibraltarians also voted to remain in the European Union in the 2016 “Brexit” referendum. And as we know, that is not how the results of the referendum ultimately went. Congratulations to The Lake District National Park, which is celebrating its new status as a UNESCO World Heritage site, awarded in July 2017. The Lake District is the largest National Park in England. It’s made up of beautiful natural scenery characterised by mountains, valleys, lakes and farmland. It’s located in Cumbria in the North West of England. UNESCO (acronym for “The United Nations Educational, Scientific and Cultural Organization”) now officially recognises the Lakes as a place of global importance, and it now becomes legally protected internationally as a place of significance for humanity. No small matter then! We – along with the many visitors and residents – are very aware of its beauty, and below you can appreciate it via some of the highlights from our video collection. 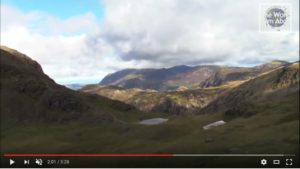 It features Ullswater, Grasmere, Coniston Water, Bassenthwaite Lake, Derwent Water, Buttermere, Ennerdale Water, Rydal Water, Wast Water, Thirlmere, Crummock Water, Esthwaite Water, and Lake Windermere. Skyworks-Stock uses advanced search systems to match your query with our collection. Note that this works word by word, unless you use quotation marks. So Lake District as a search string will return the best matches for Lake and District (and both), but not necessarily together. “Lake District” will search for that phrase. You can also use “+” and “-” to indicate mandatory or prohibited words. ‘+castle +wales’ will return clips with both castle and wales in them (ie, castles in wales!). ‘+castles +wales -Beaumaris’ would give you clips where ‘Wales’ and ‘Castles’ appeared in the metadata, but not ‘Beaumaris’ – ie all welsh castles except Beaumaris. Do note that occasionally the wiki keywords mean that exceptions may occur (see below). Our search system will try to match your search with our keywords, but remember you can also use the map search if you are looking for a specific geographic location. Skyworks search also interrogates thousands of keywords derived from Wikipedia entries. So, for instance, you could search for “landfill reuse” and this will show you Mount Trashmore, or “16th-century coastal artillery fort” and you will see clips of Deal Castle in the UK (which is one).